I’m running Ubuntu 14.04 on my Asus S550C. 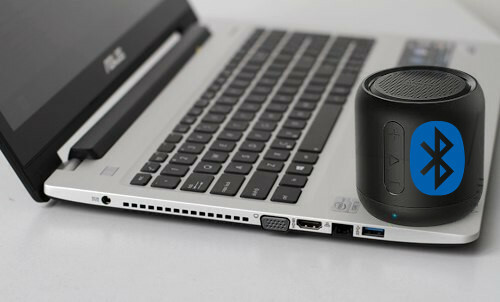 I just bought a bluetooth speaker Anker SoundCore Mini. Then I try to connect my bluetooth speaker to my laptop. In fact they’re connected, but no sound comes out from my bluetooth speaker, I’m unable to reproduce any sound from this bluetooth speaker.